US City TravelerTravelOMG.. You’ll Never Believe What Happened At This Insane Beach Party. 100 Kids Were Arrested. Yep, sometimes college kids get a little out of hand on vacation. Approximately 100 people were arrested and at least 44 hospitalized after police broke up a college party in Southern California that ended in a violent street brawl, the Associated Press reported. Authorities said that about 15,000 people attended Isla Vista’s “Deltopia” — mainly students from UC Santa Barbara and surrounding colleges. There were no signs of foul play as the day began, with thousands of people taking to the streets to drink and party by the beach. Police showed up in the afternoon, however, and arrested 56 people and issued 49 citations, according to ABC 7. At least 44 injured people were sent to the hospital for treatment, some of whom had alcohol poisoning. Police arriving in the afternoon. But things escalated around 8 p.m. when sheriff’s deputies responded to reports of two stabbings. As more police infiltrated the party, a riot began. Officers used tear gas in attempts to disperse the crowd, as hundreds of people ran from the chaos. There are reports that a UCSB police officer was hit in the head with a backpack full of liquor bottles, and that two sheriff’s deputies were also injured. One was apparently cut by a broken bottle, and the other had a brick thrown at his head. “They have had civil disturbances before in Isla Vista, but it has been many years since something like this,” a Santa Barbara County Sheriff’s Office spokeswoman told the AP. Footage showing tear gas usage. Rioters tore down traffic signs, threw objects, lit mattresses on fire, and destroyed cars. According to reports, police were finally able to break up the crowd around 1 a.m., after calling for backup from multiple agencies in neighboring Ventura County. Footage of a car being destroyed. 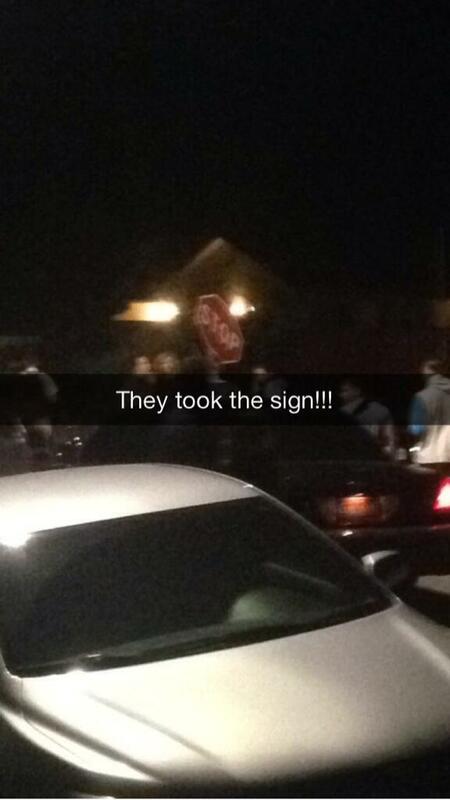 To recap… This was Deltopia before the riots began. Have you ever been to a party this wild? Please tell us you haven’t!